Conservatives in both the two major United States political parties can relax about Bernie Sanders’ new book. 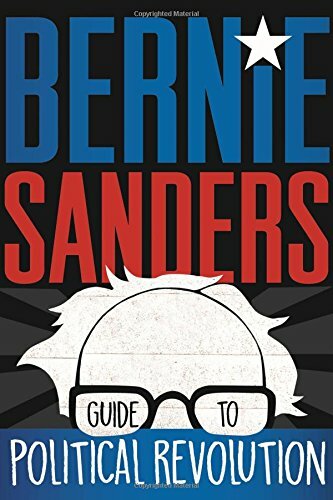 There’s nothing in Bernie Sanders Guide to Political Revolution about how to make a revolution of any kind: political, social, or whatever. This volume is nothing like Vladimir Lenin’s What is to be Done? or even Saul Alinsky’s Rules for Radicals. It is bereft of practical advice on how to build a “revolutionary,” or any other kind of, social or political movement. The policies Sanders backs (without saying anything on how to win them beyond the admonition that it’s time to “be bold, think big, and stand up”) include an increased minimum wage, equal pay for equal work, the re-legalization of union organizing (though here Bernie fails to mention the relevant legislation), paid vacations, paid medical, pregnancy/childbirth, and sick time for all workers, giant federal jobs programs to guarantee employment and meet social and environmental needs, affordable housing, energy efficiency, child care, public education, free college (Sanders’ reflections on the rising cost of higher education are spot-on), the increased regulation of Wall Street, Health Care as a Human Right, prescription drug price restrictions, genuinely progressive and fully enforced taxation of the wealthy few and their corporations, limits on executive compensation, public financing of elections, police reform, gay rights, real Civil Rights enforcement, the rollback of racist mass incarceration and the racist police state, support for women’s right to choose, expanded health care services, and (last but not at all least), the de-escalation of the Greenhouse Gassing of the planet—an epic shift from fossil fuels to renewable energy. “. . . Americans are working more hours than the people of any major developed country . . . They need time to rest and recuperate, travel the country, visit loved ones, or simply spend time at home with their families . . . In my view we need legislation to require employers to provide at least ten days of paid vacation to workers in this country every year. This is not a radical idea. It’s already being done in almost every country in the world. This would not only demonstrate our national commitment to family values but also make good economic sense. Studies show that paid-vacation policies boost productivity and worker loyalty” (emphasis added). “Worker loyalty” to whom? To the working-class and its struggle to build unions, democracy, and social movements? No. Bernie obviously means loyalty to their employers—a curious thing for a “socialist” to want to enhance. “When we talk about our current health care system, what is often overlooked is the negative impact it has on our entrepreneurial spirit. Millions of Americans remain in their jobs today not because they want to be there, not because they enjoy their work, but because their current employer provides decent health care benefits for them and their family . . . Universal health care would provide a major boon to our economy, unleashing the entrepreneurial spirit of millions of people” (emphasis added). Sanders seems to think Americans should support Single Payer because it would supposedly free them up to become capitalists, not socialists. Still, many readers will find this book a useful introduction to the questions how the United States has become a corporate and financial oligarchy and what kinds of domestic policies we need to roll back the savage inequalities and plutocracy of our current New Gilded Age.